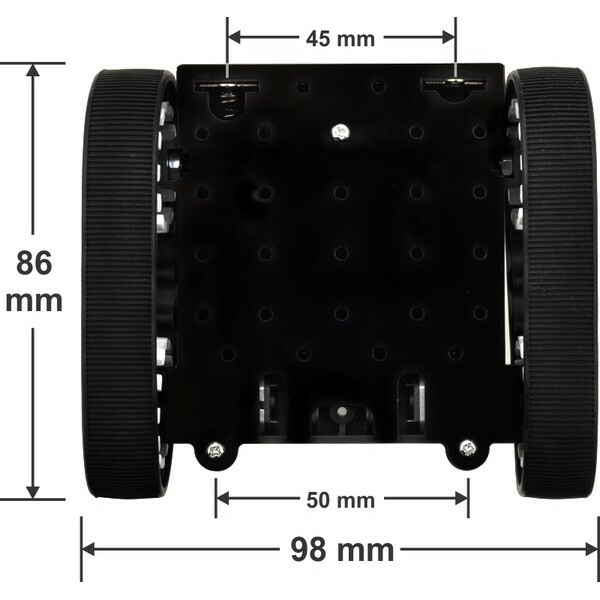 The Pololu Zumo Chassis Kit is used to create small tank like robots that are driven by micro metal gear motors. This robot body features tank like silicone treads for maximum traction. 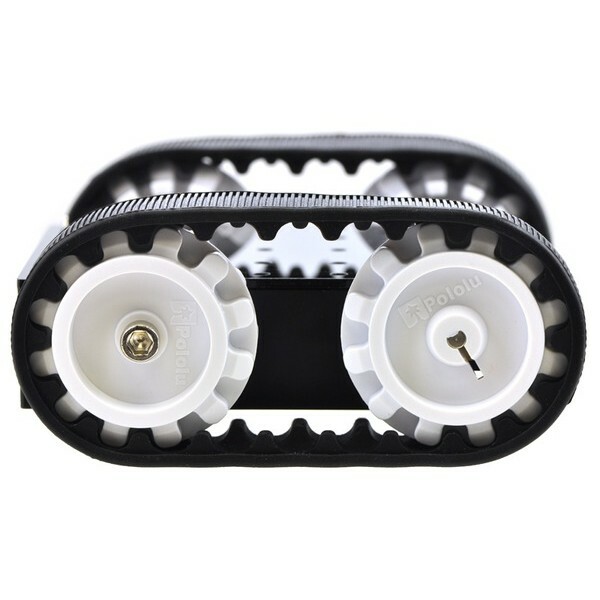 Each tread comes with drive and idler sprocket wheels. 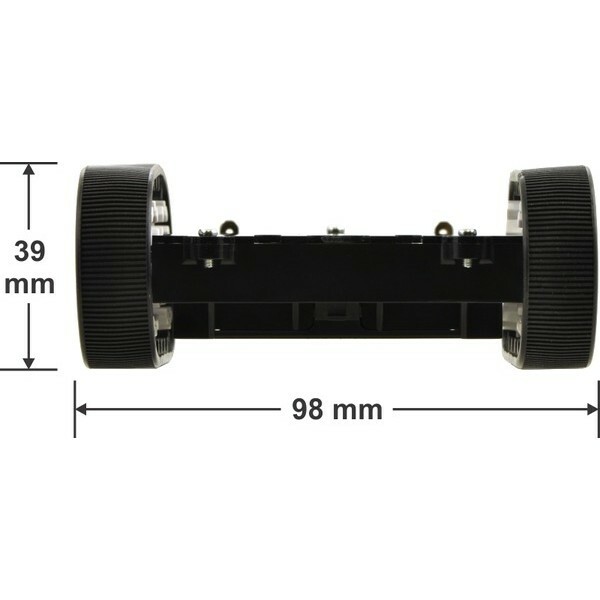 The sprocket wheels are specifically designed to fit the 3mm D shaft of popular micro metal gear motors. The body is made of black ABS plastic and features a compartment for four AA batteries and sockets for two micro metal gear motors. 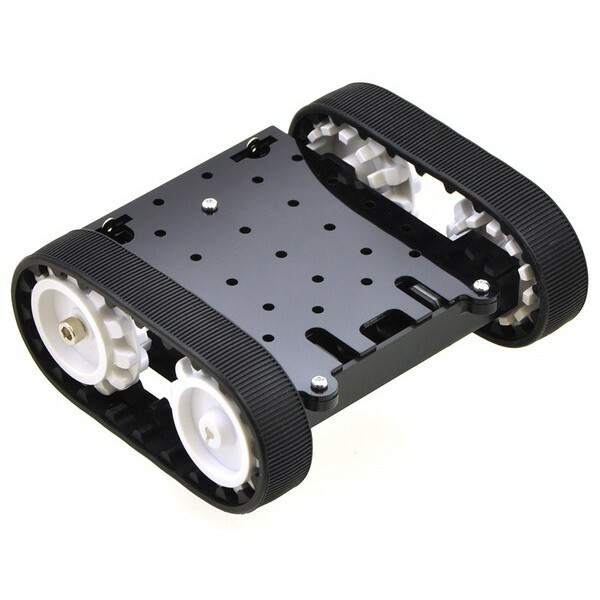 This is the same chassis used to build Pololu's Zumo Robot for Arduino and is sized to meet Mini Sumo competition specifications. 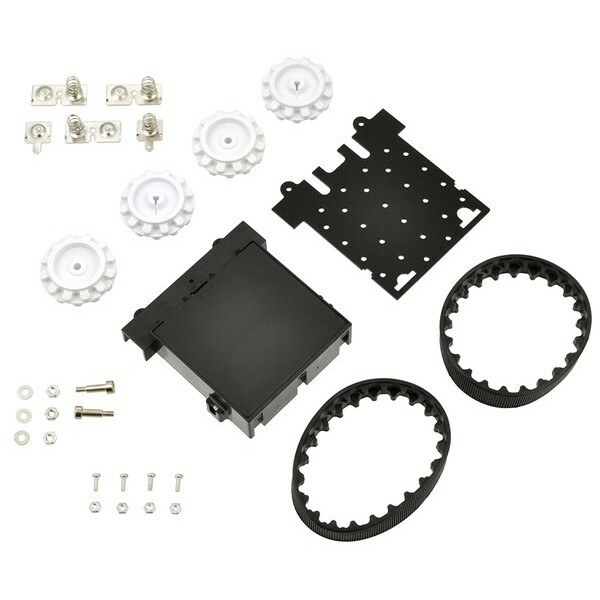 This robot body kit does not include motors or electronics.